Welcome to day 3 of my Countdown To Christmas Cookie Recipes. 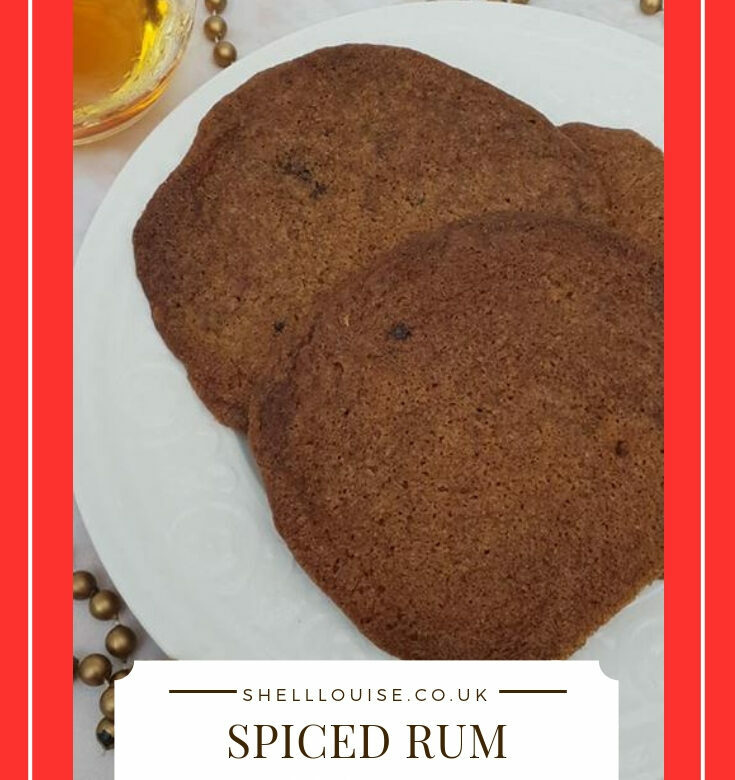 Today’s recipe is for Spiced Rum Cookies. If you don’t have any rum and don’t want to buy a bottle just for a recipe, you can substitute with rum flavouring. It’s available in the baking section of most supermarkets. Tomorrow’s recipe is for Chequerboard Cookies. Cream together the butter and sugar and whisk until light and fluffy. Sift together the flour, salt, bicarbonate of soda, cinnamon, coriander, nutmeg and cloves into the creamed mixture. Place 18 spoonfuls of the dough onto the prepared baking sheets, spaced well apart. Flatten each one slightly with the back of a spoon. Bake in the preheated oven for 10-12 minutes until golden. Leave the biscuits to cool and crisp on wire racks before serving.